Several people were injured in Kano on Saturday as violence occurred between supporters of the current administration of Governor Abdullahi Ganduje and those of his predecessor, Rabiu Kwankwaso. Two of those who sustained injuries and were reportedly hospitalised include a former Secretary to the State Government under Mr. Kwankwaso, Rabiu Bichi, and the ex-governor’s younger brother, named Sani. 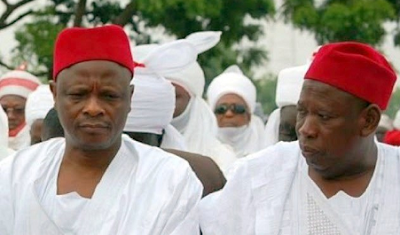 Narrating her version of what led to the violence, Binta Sipikin, a spokesperson to Mr. Kwankwaso, said the former governor’s supporters went to the palace of the Emir of Kano, Muhammadu Sanusi, just before the commencement of a traditional celebration, Hawan Daushe. Ms. Sipikin alleged that on arriving at the palace, police officers there pushed them back using tear gas cannisters and other devices, forcing the supporters to scamper for safety. Ms. Sipikin accused Governor Ganduje of being behind the attack. She said it was Mr. Ganduje who mobilised the police and the thugs. The governor, however, denied the allegation. The Kano State Commissioner of Information, Mohammad Garba, said the governor was not even in the state when the violence occurred. He said the governor and his team travelled to neighbouring Katsina State to pay Sallah homage to President Muhammadu Buhari in Daura. The president is in his home town of Daura for the Sallah celebrations. Mr. Garba said when the governor and his team returned to Kano on Saturday evening, the emir’s palace was peaceful and the Hawan Daushe held peacefully.